Excelsis Chamber Choir: A successful choral experiment! 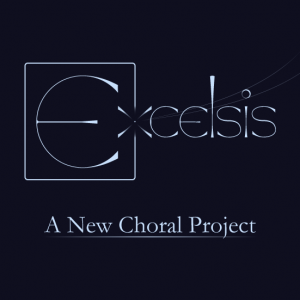 Excelsis: A New Choral Project has now had its first concert. And I think, though I may be somewhat biased having been a member of the choir, that it was a resounding success. A little backstory: the choir was conceived by Ramona Luengen and Winston Lanyon, and was a somewhat daring project. The idea was to get 20 accomplished singers, and in 6 weeks put together a very full program of some fairly heady works. 6 rehearsals, and not the easiest repertoire selections. Daring. And, it worked! It was a distinct pleasure to have been involved in this project, and I am grateful for the opportunity, even if I had to spend my entire time outside of my comfort zone singing baritone and even some 2nd tenor. But what is the fun if life does not present us challenges to rise to? The choir truly was made up of accomplished singers, and sharing the stage with them was a delight. The compressed timeline and challenging works meant that we all had to work our butts off, and it is always a pleasure to be in a group of people who all have have the willingness to put in the work that is necessary for a great concert. (Judging from the feedback from the audience, we succeeded in presenting a great concert) Some of the choir members I had met and worked with before, and several members I was meeting for the first time at the first rehearsal. It was great to be reunited with some old friends, and equally nice to meet some new friends as we progressed through this project. The concert was over too soon, as they usually are, and I do not know what the future holds for this new choral project, but I’m certainly glad I was a part of this experiment. Kudos to Ramona and Winston on making their unique and delightful idea come to life, and an extra big Thank You for granting me the privilege of being a part of it. If you want to be in the loop on what Excelsis is up to in the future, you may want to check out their Facebook page. Definitely keep an eye open for any upcoming events with this ensemble; if you like a good choir concert it will be a must see, I’m certain of it. Previous Previous post: Why Do I Hate Handel’s Messiah?